Early in my advertising career, I put together a Grand Opening event for a large sports store in the St. Louis area. Being young and a bit naive, I thought the more activities we had, the better. I arranged for visits by pro-athletes, fun contests, prize drawings, a grand prize giveaway, hourly sport’s demonstrations, etc. Needless to say, it was a confusing jumble and those attending became spectators instead of shoppers. I learned that sometimes the best way to draw shoppers in can be with the simplest of events or decorations. Your holiday ideas don’t have to cost a lot of money to build store traffic, just be consistent. Here are a few last minute ideas to gain a little extra foot traffic to your store this holiday. One of the best holiday ideas is to add a little curb appeal with a sandwich board sign. Painted with chalk paint, you can adapt it for any event or holiday. Pinterest is filled with ideas for signs made out of old metal trays, wooden pallets, old picture frames and sandwich boards all painted with chalk paint. They are perfect for drawing a crowd in and always help to make a charming first impression. Change the message daily to build added excitement. Remember, your front windows are your biggest billboards. 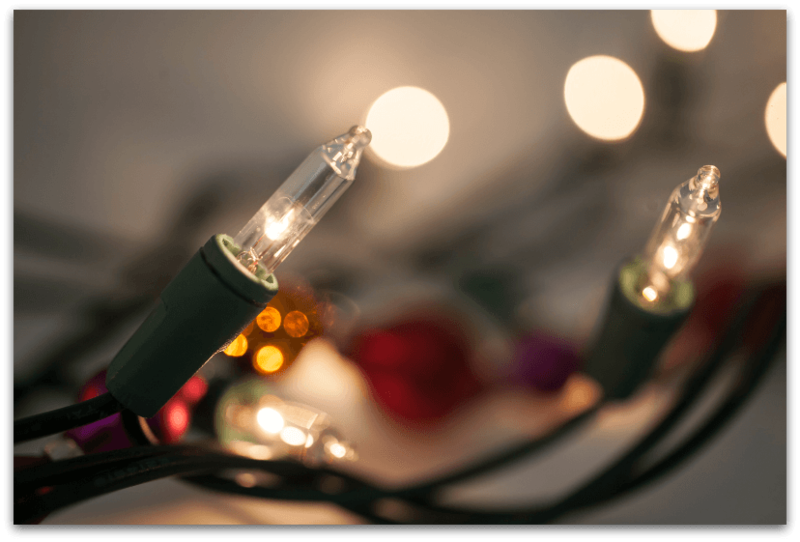 Read How to create beautiful holiday window displays on a budget. While you’re at it, make sure you’re keeping up with the maintenance of the outside of your store too. Sweep daily, and keep your windows sparkling and well-lit. If you’re allowed to add other items to the outside to draw a shopper’s attention, go for it. What about rolling out a red carpet; hanging a long string of holiday pennants or sparkling silver snowflakes? Your salespeople should look busy at all times. No one wants to enter a store where everyone is just sitting around talking to each other. They need to look welcoming even from the outside looking in. By now, you’ve probably built up a solid email list and online following. Make sure you have a daily schedule of messages and posts on a convenient calendar. Consider sending out a special holiday invitation to a unique in-store event; promote a preview sale for your very best customers; reward loyal customers with a special discount on a particular day; promote your gift cards or entice last-minute shoppers with particular deals. Whatever you choose, make sure your marketing has the same look, colors, images, etc. across email and all of your social media. Be sure to include yourself and your staff in your messages. Shoppers like a personal touch. They like to feel they know you and they especially like it when you know them. Always take photos of your shoppers sitting in the chair they just bought; wearing that new outfit or holding up that cute Christmas toy they’ll put under the tree. Look for ways to recognize them and thank them. Once inside, shoppers will linger (and hopefully buy more) if you’re offering services such as free gift wrapping, a child’s play station with Christmas coloring pages or a small table with Christmas goodies and beverages. Recruit a local Girl Scout Troop or Youth Group to do the wrapping in return for a donation to their organization. Print off coloring pages from here. Offering something as simple as hot cider or hot cocoa can keep shoppers comfy and shopping for a lot longer. Believe it or not, you can now add scent marketing to your advertising mix. Research has shown that shoppers linger and return when your store smells especially fragrant. Finding the right scent can be difficult because one person’s sweetness can be another’s stench. Christmas is an especially good time to experiment. The fresh smells of fir trees, cloves and oranges or spiced cider are good ones to begin with, but remember subtle is better.